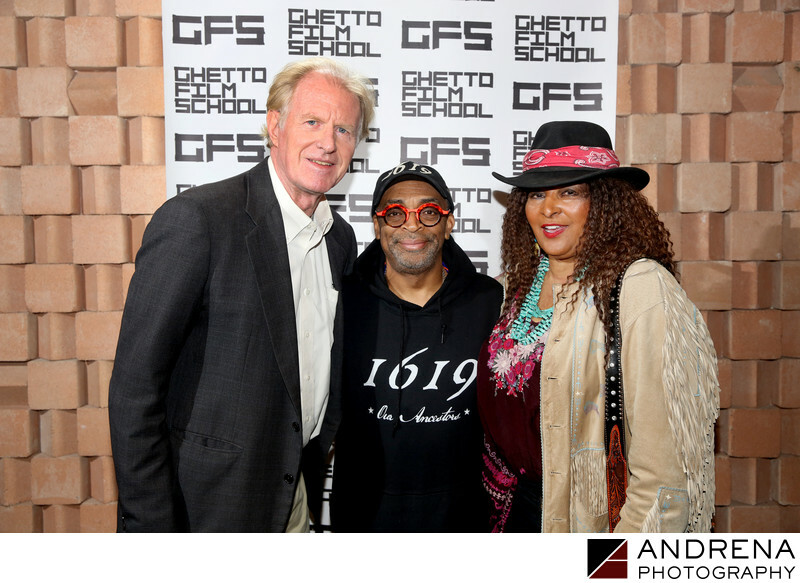 Oscar winner Spike Lee, Ed Begley Jr., Pam Grier and a host of other notable industry players attended a pre-Oscars luncheon honoring The Ghetto School hosted by Christine Chiu and Dr. Gabriel Chiu. The not-for-profit Ghetto School's mission is to educate and equip students to succeed and thrive in the film making and creative industries. Attendees included David O. Russell, Connie Britton, Rosanna Arquette and many more. Keywords: Ed Begley Jr. (3), Pam Grier (3), Spike Lee (9).